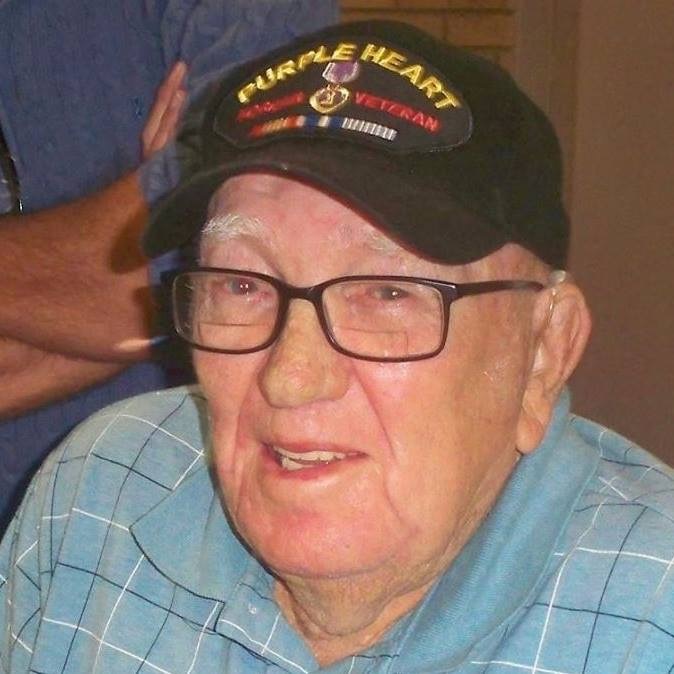 Jack Richey, 88, husband of the late Betty Ann Burton Richey, of Calhoun Falls, died Sunday, April 14, 2019 at his home. He was born in Greenwood to the late James Carson Richey and Bannie Bell Martin Richey. Jack honorably served his country in the United States Army during the Korean War; he was the recipient of the Purple Heart, as well as the Korean Peace Medal. Jack was employed by WestPoint Stevens and retired with 52 years of dedicated service. He could often be found coaching youth baseball or acting as an umpire for high school and American Legion baseball games. Jack was a member of Northside Baptist Church and the American Legion Post 72. In addition to his wife of 65 years, Betty Ann, and his parents, he was preceded in death by brothers, J.C., Kenneth, Alton, Ralph and Bobby Richey. Jack is survived by his three sons, Keith Richey (Peggy), Terry Richey (Tina) and Mark Richey (Shane), all of Calhoun Falls; a brother, Ronnie Richey (Betty) of Greenwood; a sister, Catherine Jones (George) of Greenwood; a sister-in-law, Eva Richey, of Greenwood; grandchildren, Ryan Richey, Ross Richey, Melissa Richey, Chrissy Richey, Leandra Norris, Clint Richey, Tiffany Negrete, Heather Massey and Artie Palmer; and sixteen great-grandchildren. The family will receive friends 6:00PM – 8:00PM, Tuesday, April 16, 2019 at Harris Funeral Home, Calhoun Falls Chapel. Funeral services will be 1:00PM, Wednesday, April 17, 2019 in the funeral home chapel with Rev. John Ellis and Rev. Phil Keown officiating. Burial with military honors will follow in Forest Lawn Memory Gardens. Memorial contributions, in memory of Jack, may be sent to the Wounded Warrior Project, 7020 A.C. Skinner Parkway, Suite 100, Jacksonville, FL 32256 or the charity of one’s choice. Harris Funeral Home and Cremation Services, Calhoun Falls Chapel is assisting the Richey family.